Do you need help with Life Insurance Approval with Myocardial Infarction? 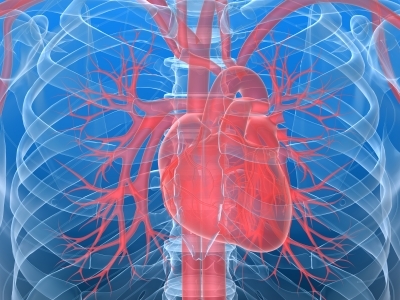 Have you been declined for life insurance due to Myocardial Infarction? Can Individuals with Myocardial Infarction Qualify for Life Insurance? Yes, most individuals with Myocardial Infarction will be able to qualify for traditional life insurance, the type of insurance which requires a medical exam. Best Case Scenario – If Myocardial Infarction is detected early and given appropriate treatment, chances are that symptoms will be controlled and, therefore, complications of further heart muscle damage can be prevented. These cases are usually given a “Mild Substandard” rating. Click here for quote at “Mild Substandard”. Moderate Case – A chronic case of MI that had been diagnosed early would have a good chance that symptoms of chest pain are controlled. These cases may still qualify for a “Medium Substandard” health class. Click here for a quote at “Medium Substandard”. Severe Case – An acute case of MI with severe symptoms of chest pain that can lead to a severe heart attack or even death looks bad and may get a “Severe Substandard” rating or worse a decline. Click here for a quote at “Severe Substandard”. 1. When was your MI diagnosed? The earlier MI is discovered the better the chance that it will be managed and controlled. 2. Have you experienced any sign of severe chest pain within the last six months? Recent symptoms of severe chest pain within the last six months may be a sign of an unstable MI that may get a “Severe Substandard” or worse a decline. 3. Are you taking maintenance medications? Medications for MI can be used as an advantage especially if they are taken regularly because they can be associated with a stable MI and, therefore, get the best rating. However, if medications are only recent and are given in high doses, it could mean a recent MI attack and may get a decline. Regular visits to your physician may be a good sign of compliance and may get a best scenario rating. 5. Have you had any relevant heart surgeries in the past? 6. Have you had any relevant ECG tests or laboratory markers in the last past 6 months? Lab tests like CK, CK-MB or CRP plus ECG tests done within the last 6 months will be the best way to determine the extent of heart muscle damage. 7. Do you have any of the following risk factors? Risk factors include age higher than 40, hypertension, diabetes, smoking, hypertension, obesity, history of MI, alcohol use, high cholesterol or use of oral contraceptives. If you have any of these high risk factors it may get you a “Severe Substandard” rating or worse a decline. Myocardial Infarction otherwise called MI is commonly known as Heart Attack. MI is a serious condition that presents itself as Angina (severe and excruciating chest pain). The chest pain is caused by a blockage on the major coronary arteries caused by cholesterol buildup. Since these major arteries are the key supplier of Oxygen to the heart, it causes the heart cells to rupture or die. This major event can be a very serious condition that can lead to sudden death. Other than angina, other symptoms of MI include pain radiating to the left arm and hands, nausea, vomiting, excessive sweating, palpitations, anxiety and shortness of breath.